Love note, one of the sweetest ways to express your feelings, makes your love life more exciting and romantic. Love notes are the powerful weapons which bring everlasting glow on the face of their recipients. They help you make your relationship afresh and attractive like the fragrance of the first day love. Remember the state of your heart when you saw your partner’s first message flashing on your cell phone. Didn’t you feel special and surprised? 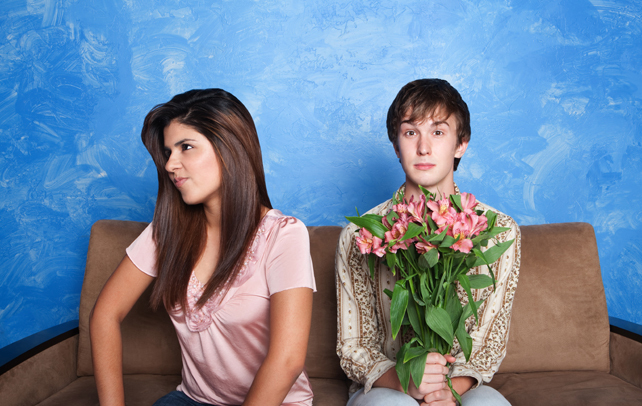 Won’t you like to continue the same pleasures and surprises in your love life? The best way to initiate spark is to write love notes and let your loved one fall for you again and again. These tiny messages tucked in the pillow or in the cell phone cover will renovate the fervour of your relationship, deepening the ties between the two of you. But, unfortunately not all love-birds are blessed with the flowery imaginative writing skills. There are some for whom writing their feelings on a piece of paper is a child’s plays, whereas for quite a lot of people it’s an uphill task. We understand your situation and hence are presenting you with the best of the tips to help you write fabulous love notes. Just check out the next section of this article and become a perfect love showering angel through your love notes. Less Is More Yes, it really is! You don’t need to write a love note as if you were writing your annual exam for English Literature. Rather make it brief and cute. Have you ever heard of the art of speaking more in fewer words? This is what you are supposed to do in the love note. Make it romantic, attractive, and touchy; but above all avoid making it an essay. Four-five sensible lines would work, really! Think Before You Write One is required to think not only before speaking but also before writing, especially love note. Do not confuse the recipient with ambiguous or complicated sentences having the same sense. Also, take care of spelling mistakes and nullify the scope for grammatical errors. It’s better to jot down on another piece of paper what you want to convey before finally writing your love note. Make It Personal Would you like to cherish a love note with which you hardly find any correlation? Of course not! The same principle applies to you while writing love notes. Use your creativity while writing a love note, but do not diverge yourself from the concrete reality. The recipient should be able to build an association with what your words reflect. For example, do not appreciate your partner for western dressing style if s/he never tried those attires. Include Shared Past History The best thing of a romantic relationship is that there exists a unique life history which is experienced by only the two of you. Quote those moments from the past history which you would like to relive. Your partner will be rejoiced to recall the past nostalgic moments and it will the strengthen the bond between the two of you. Visualize Through Words After stating a line about the time spent together you can speak about how you would like to see the two of you together. Imagine a picture most romantic yet realistic and visualize the scene with the help of words. Make sure that your words are capable of drawing the same picture in the mind of your audience (your love, of course!). Try it and appreciate the results that your imagination can bring for you. Let Your Creativity Flow Writing love note doesn’t mean you are supposed to write few lines just for the sake of writing. The language used should be creative and flowery. You can write a poetry saying, ‘You are perfect for me…’ or list your feelings inside a grand card of red base. If you are willing to take more pains to get your partner’s attention, secretly play the game of ‘Treasure hunt’ where your first love note would direct to the next love note. Why not make a number of small cards with your feelings inscribed on them? Try creative ideas and make your love feel special. Include A Small Gift Not necessarily, but try to back your love note with a small gift. It can be a rose bud, a chocolate or anything which you feel can bring an ear to ear smile on your loved one’s face. This is the simplest thing which you can do to reflect your love to the significant other. Choose Hiding Places All your efforts will go in vain, if your love could never find the love note. Or worse, if you yourself have to direct him/her as to where you have left the love note. All the surprise, happiness and appreciation would silently move away without letting you know about it. In order to avoid such a situation make sure that you are hiding the note at a appropriate place, which is frequently visited by your partner. The most common places are cell phone case, dressing table, mirror stand, laptop, steering wheel (if they drive the vehicle frequently. ), the book he/she reading, etc. 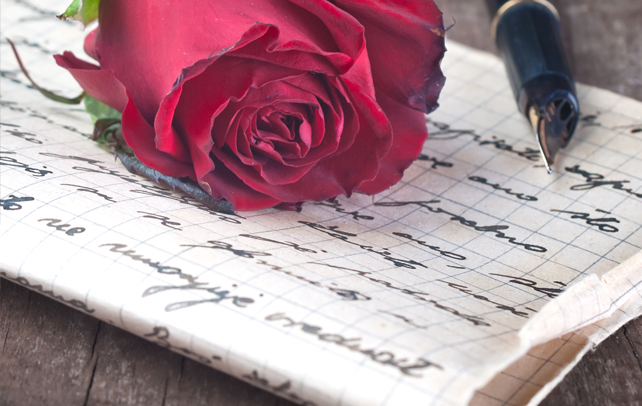 Writing a love note makes sense when you truly feel about writing them. A silent and effective warning: unless you find the love note effective, do not hand it over to the addressee.